The City of Napa offers more than just wine experiences for visitors. Escape the hustle and bustle of everyday life and explore the beauty of Napa with the Napa Farmers’ Market. From fresh produce to artisan goods, kids’ events to chef demos, organic goodies to music, Napa’s Farmers’ Market is truly a world-class event. Here are a few ways you can experience the fresh side of Napa. Visitors come from all over to enjoy our seasonal market because food tastes better fresh! Depending on the season, you’ll often find a variety of organic items at Napa’s Farmers’ Market including raspberries, apples, basil, meats and cheeses. 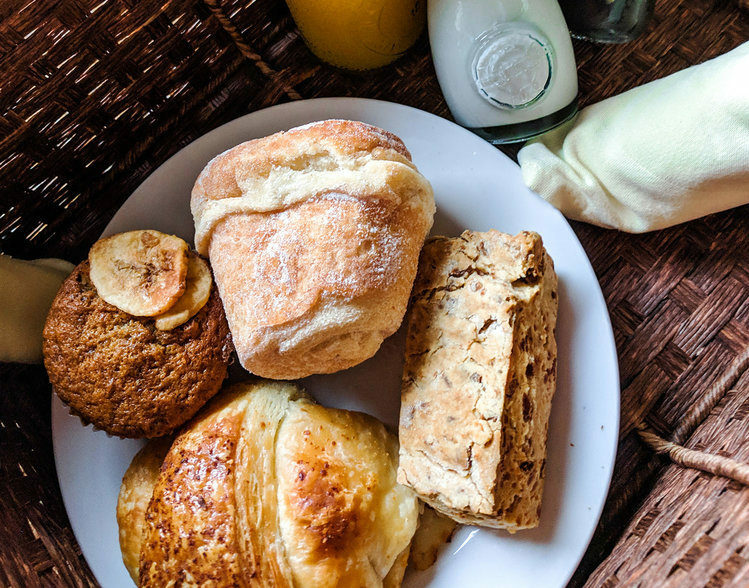 We suggest grabbing your favorite goodies for a beautiful vineyard picnic in Napa. Local Tip: Pick up a bottle of your favorite Napa wine at Oxbow Public Market or at any of Downtown Napa’s tasting rooms to go along with your picnic! If you’re feeling adventurous, we recommend taking your picnic into the hills of Napa! The city is surrounded by beautiful mountains that provide built in hiking trails for all levels. With more than 13 hiking trails in Napa Valley, you can easily spend the day exploring the hills of Napa before and after your picnic! Visitors can also take their picnic to the water with Napa Valley Paddle. Bring your delicious items with you and take the outfitter’s half-day tour. Each trip includes hands-on instruction to help you make the most of your time on the water. Biking along the Napa River to find that perfect picnic spot is another local favorite. 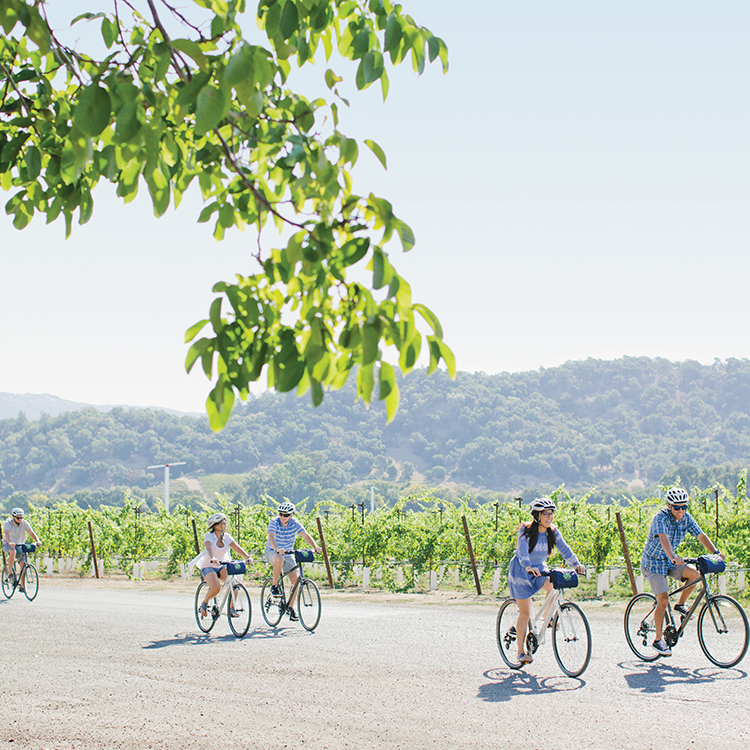 Many lodging properties offer guests bikes to enjoy during their stay or you can rent one from Napa River Velo. Beyond the fresh produce, the Napa Farmers’ Market is also a great place to shop for souvenirs while you’re in town. You’ll find several items that are easy to pack including local honey, oils, jewelry, soaps, lotions, leather goods, unique crafts and much more. There’s nothing more relaxing than being surrounded by the rolling California hills with a glass of wine, fresh food and good company. Book your trip today!